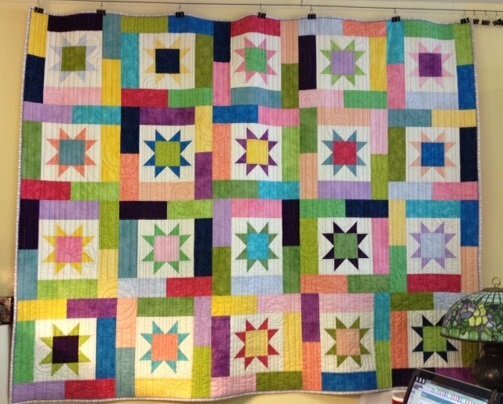 Lucky Star pattern in Rainbow Colors Machine pieced and quilted in wavy channel motif. Backing is sky blue swirls. Hot pink binding. Kit also available for sale. 59 x 74" Great lap quilt.